Now that its September I figured it was ok to post this. 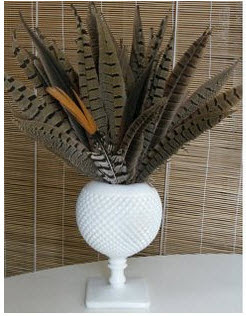 To me feathers seem to be more of a fall accessory for the home as well as fashion. 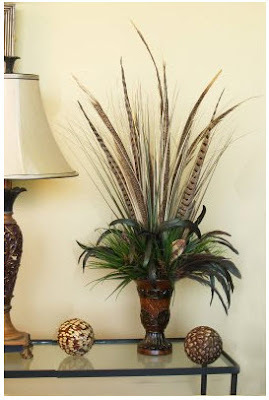 I love using feathers in lieu of live plants or flowers. While they will never completely replace living things, they are a nice alternative or stand in when you just need that something extra. Birds of a feather...I love feathers. Thanks for the great pictures!! 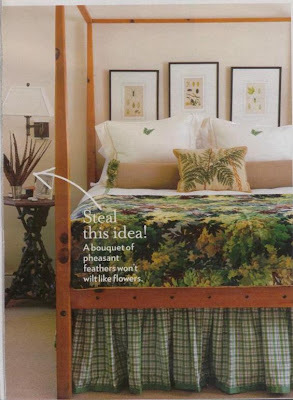 I hadn't ever thought of feathers instead of flowers. YAY! I can't wait to do this in my home! ...And I have that vintage milk glass vase in the first pic! It looks amazing with the feathers! (Note to self: buy some feathers!) Perfect for fall. That ferragamo bag Carrie is wearing is just stunning! 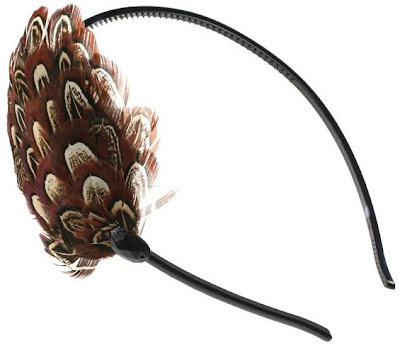 I do love feathers, but I think I will stick with the headband, I do not know if I could pull off a feather clutch! Really love those wreaths, how fantastic! The green wreath and centerpieces images are great! 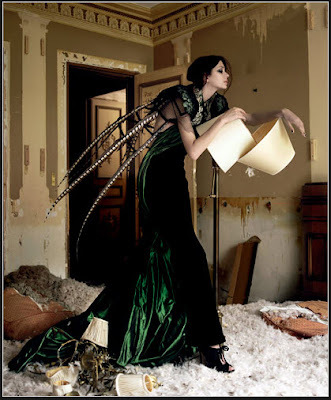 I agree that feathers seem to be more of a fall accessory. 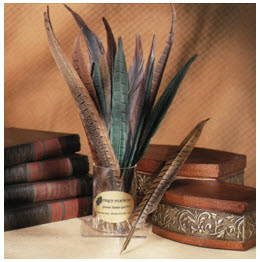 I would caution people against using found feathers, however - icky things could be living in them. Stick to the ones from the craft store! 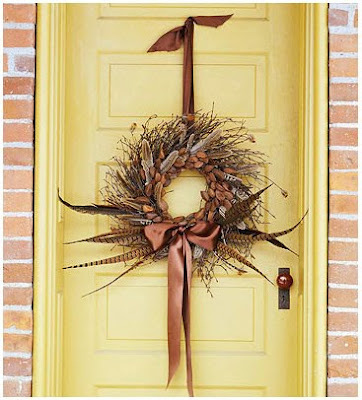 Thanks for featuring my front door wreath. I love the accessories, especially the headband! love feathers too! i have an arrangement with some that i love! 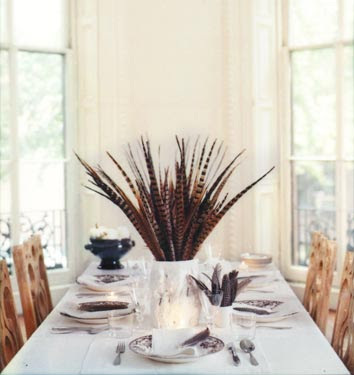 Especially love the centerpiece, and the wreaths. 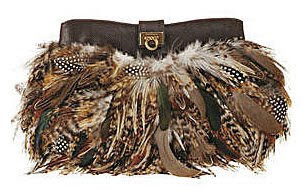 That clutch reminds me...I have a feathered clutch I bought a few years ago, may have to bust it out! 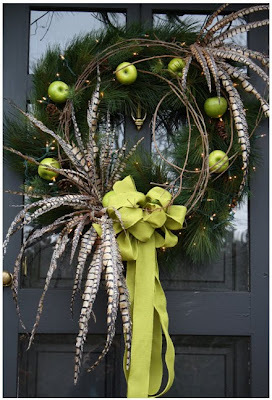 OMG, that green holiday wreath is stunning! 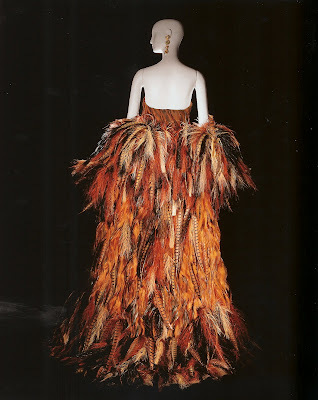 love all the feathers!! 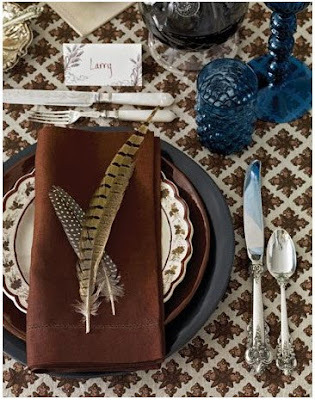 i need to incorporate feathers into my next party! How fabulous! Love the place setting and the clutch SJP has is to die for. Just shows there are so many ways to use one item. love it! oh so pretty!!!! must get some!!! Rather interesting site you've got here. Thanx for it. I like such topics and anything connected to this matter. I definitely want to read a bit more on that blog soon.